Rodents, insects and pests have capacity of building resistance to chemicals. When inorganic pest control methods are used the chances of the resistance development are very low. The use of the eco-friendly pesticides is very common and useful for human health. It keeps the pests away from the area where you have used these drugs. 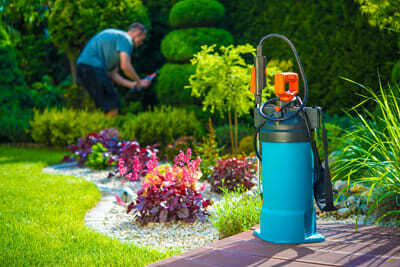 The benefits of eco-friendly pest control are several. It saves your cost of paying extra money on the treatment of your family or kids. Hire Ranger Pest Control because they use eco-friendly material. It is safe for human. Why use eco-friendly pest control? A freshly sprayed area of the house or a building is always smelly and messy. The use of the eco-friendly material contains few chemicals. The use of the traditional pesticides can be harmful for your health and leaves the bad impact on the body gradually. The pesticide fumes are numerous that can damage your health by the time and the majority of the people are in the danger due to the non-toxic chemicals. It leaves harmful impact on the environment. Some toxic chemicals are used in the formation of these pesticides. You will see these health issues in the people who do not use eco-friendly pest control. If you are looking an elite pest control company for interior spraying, you will find this organization an ideal alternative in the light of the fact that this association is known for the proficient pest control service. The mission of the organization is to save your home with the restrictive painting systems that is certain to make the proficiency of the organization as the great association. The expertise of the crew will propel you to go along with them over and over. There is no use of the harmful chemicals in the pesticides so; it offers high-quality of the material for the betterment of the users. It gives the environment protection to the users and is safe and secure for all. Offering easy clean-up it is highly effective for the home interior. Eco-friendly pesticides are gentle and conservative to the environment. After spraying the ordinary pesticides, it is seen that the grass and plants dry after the spray. It means the use of the natural products is safer for your landscape and garden. It eliminates the rodents, pests and insects from your surroundings and does not lose its elegance. Insects and pests develop resistance against chemicals and drugs. In this way, these chemicals cannot harm them but these are harmful for human. The benefits using natural ingredients do not allow them to develop resistance. It is good to use the products that are safe for human use.